On Monday we looked at heeled sandals and now lets look at a more casual option, something for everyday that will brighten your outfit. 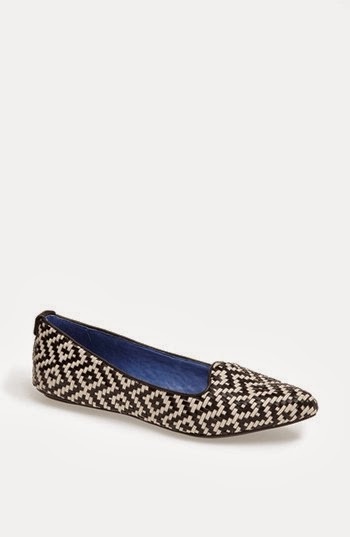 I'm talking about the patterned flat and today we're looking specifically at the pointed toe option. Chic, casual, and easy to wear. What did I tell you? Fun and fresh and ready for spring! 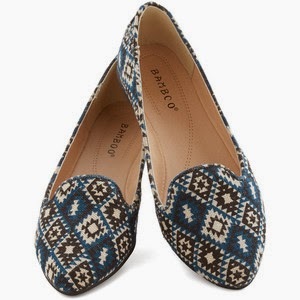 I really like these flats because while the patten is bold the color combination is quiet which means you can pair it with jeans, shorts, or even a red skirt. A sassy stripe that is right on trend with the black and white. And speaking of black and white, how about a little Aztec print to mix things up? 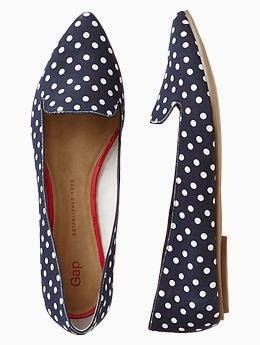 Pointed toe flats mean business. You can find them in a slew of styles including the popular d'orsay. For me, a printed flat will always get you a 'oh my gosh I love your shoes' and they should because they're something different and fun.